I think our world can become so much richer in opportunities, compassion and ideas across all of our people and have focused my work, energy and passions on achieving this and so make it a better place for our children to one day inherit. I have been so fortunate to find this mission and purpose in life - one partially inspired by my family history. In 1862, just over a hundred years before I was born, my paternal great- great- grandparents signed their marriage certificates with ‘X’s, as they were illiterate. My maternal grandparents emigrated to England from the Irish Free State in 1931 with only coins in their pockets. My father left school at 16 because the family needed the additional income. Each generation has striven to fulfill that essential promise that we make to our children: to give them a stronger foundation to live healthy, safe and fulfilling lives - with more hope and opportunity than we had ourselves. For me, giving children these chances has never simply been an individual or familial responsibility, but a societal one. As Nelson Mandela put it “There can be no keener revelation of a society’s soul than the way in which it treats its children”. He meant ALL its children. 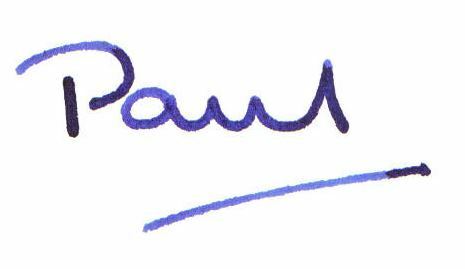 I believe very strongly that the most important contribution we can make to create wealth, reduce inequality and support the future of our communities, societies and world is to give our children and young people - each and every one of them - the best possible foundation from which to make the most of their potential. After all, they are the ones who will define and create the future. For me, the keys to unlock this are opportunity, compassion and ideas. My childhood was spent growing up in Zambia, which has given me a lifelong love and passion for Africa and its people - and the opportunities and hope that too often has laid dormant within the continent. In 2006, I was the dad of two young children, feeling frustrated by the lack of healthy, tasty and convenient food available for my kids and deeply concerned by the growing childhood obesity crisis in the UK. So, I set out to create Ella’s Kitchen, an innovative organic baby food brand with a powerful mission. A big risk, but once I'd had the idea, I'd have been disappointed in myself if I didn't try. Today, Ella’s Kitchen is the UK’s number one baby food brand, retailing in major markets around the world with a global turnover of over $100 million. Driven by my founding mission, Ella’s Kitchen has fast-become an instrumental force in national campaigns to tackle childhood hunger and improve early-childhood nutrition. One of the UK’s first certified B Corporations, and consistently recognised by the Sunday Times as one of the best small companies to work for, Ella’s Kitchen is now widely seen as one of the UK’s leading purpose-led businesses. 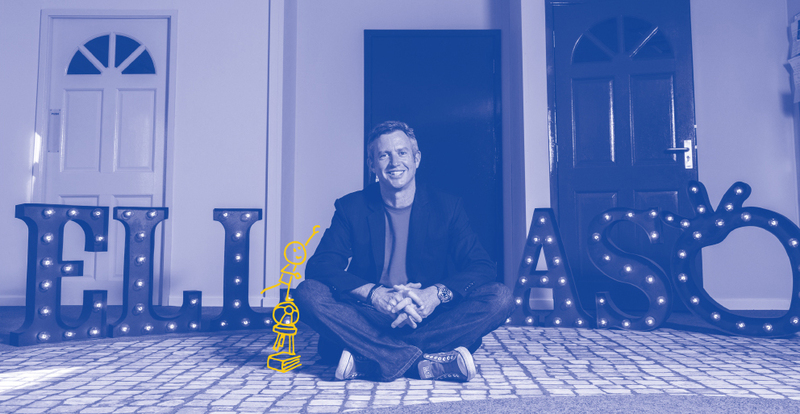 I sold the company to the NASDAQ-listed Hain Celestial in 2013, and stepped fully away from Ella's Kitchen in 2018 to devote more time to social campaigning. I am Chair of Robert F Kennedy Human Rights UK and a Trustee of Sesame Workshop, the creators of Sesame Street. I sit on the Board of social enterprise Toast Ale and have been a Counsellor at One Young World and a Director of Bite the Ballot. I am also co-founder - alongside South Sudanese ex-child soldier and award-winning hip hop artist Emmanuel Jal - of The Key is E, which uses education and entrepreneurship to empower and engage Africa’s brightest social entrepreneurs, to build businesses that improve children’s lives. 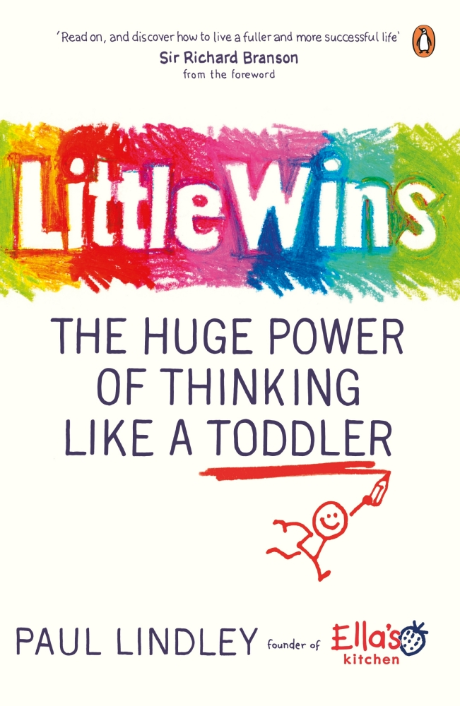 In 2017, I released my first book, the critically acclaimed, best seller ‘Little Wins: The Huge Power of Thinking Like a Toddler’. Inspired by 20 years of working with toddlers, ‘Little Wins’ outlines how we can all unlock our personal potential, not by learning new skills, but by rediscovering old ones, through the mindset we all once had as toddlers. In 2018, I was appointed Chair of the newly established London Child Obesity Taskforce by Mayor of London Sadiq Khan. The Mayor has charged the Taskforce to create a vision and policies to significantly change the capital’s obesogenic environment, thereby improving the lives of children across the city and we have a 2 year mandate to deliver our initial proposals. I feel very humbled and proud to have achieved several Entrepreneur of the Year and Business Person of the Year awards, and in 2013 I was awarded an honorary doctorate for my work on children’s health and entrepreneurship. Sir Ken Morrison once gave me the best piece of advice I’ve ever had. "See them" he said, pointing to my feet, "keep them on the ground, be humble and thankful, and see that" pointing to my head “keep that in the clouds, dream and imagine and then do something with them”. I do think it’s the way to live. My confidence to make a difference has been boosted over the years by two quotes and a poem. The quotes are blu-tacked to the wall above my desk, the poem I carry around tucked inside my wallet. current which can sweep down the mightiest walls of oppression and resistance."